Leading Manufacturer of frozen pomegranate arils, frozen pomegranate pulp and frozen pomegranate kernels from Nashik. We are considered as one of the prominent processor, exporters and suppliers of optimum quality Frozen Pomegranate Arils. Pomegranate reduces platelet aggregation and prevents both strokes and heart attacks, furthermore, it naturally lower blood pressure. It is a nutrient dense, antioxidant rich fruit, which is revered as a symbol of fertility, health, and eternal life. 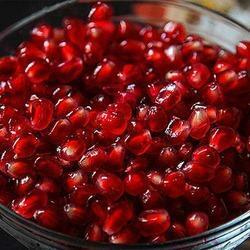 Our Pomegranates Arils (seeds) are certified as per international health assessments. 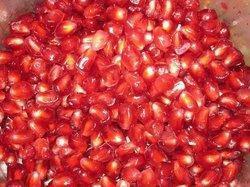 With the assistance of our skilled professionals, we are engaged in providing high grade Frozen Pomegranate Kernels. In line with the food industry set standards, these offered kernels are prepared with superiority. This product is store in certain temperature in order to main its hygiene & freshness. Our offered product reduces platelet aggregation and prevents both strokes and heart attacks. Customers can take these kernels from us in bulk quantity within a committed time frame.